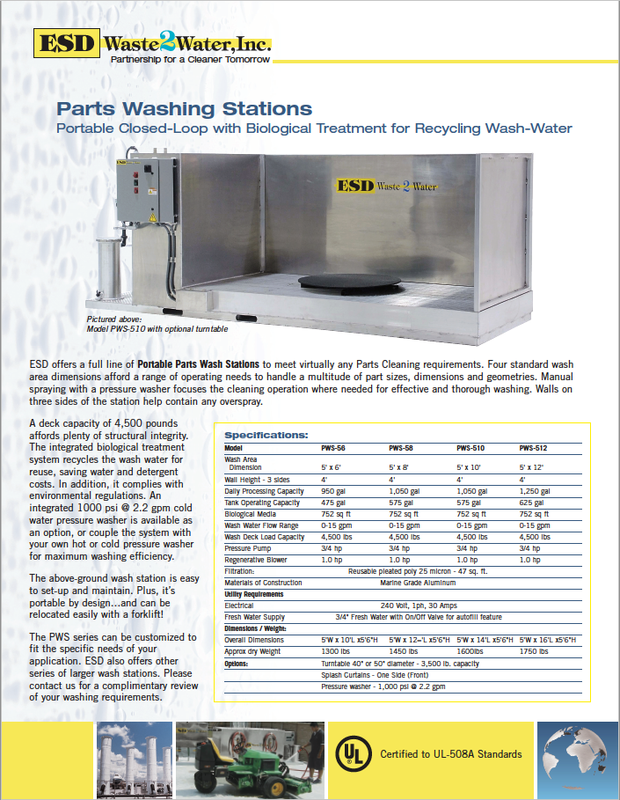 ESD offers a full line of Portable Parts Wash Stations to meet virtually any Parts Cleaning requirements. 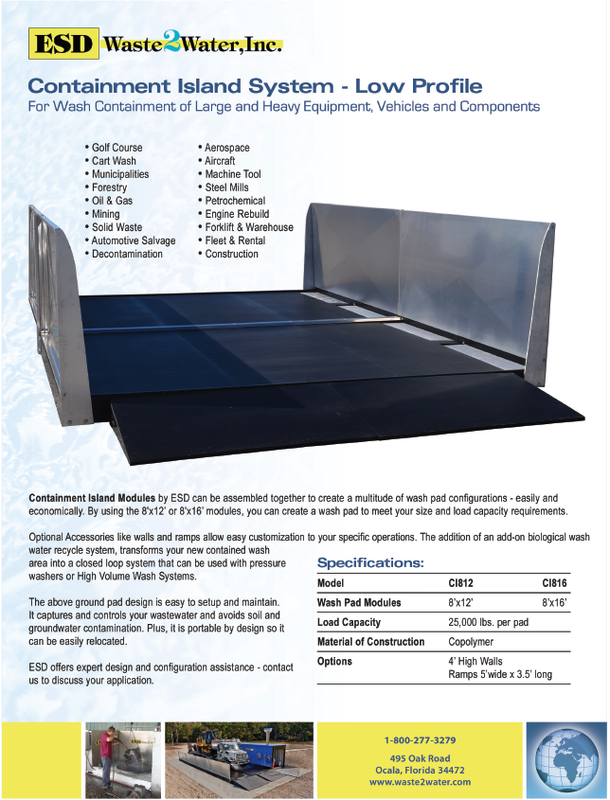 Four standard wash area dimensions afford a range of operating needs to handle a multitude of part sizes, dimensions and geometries. Manual spraying with a pressure washer focuses the cleaning operation where needed for effective and thorough washing. Walls on three sides of the station help contain any overspray. This keeps the water contained in our parts washing system so the water can then be recycled. 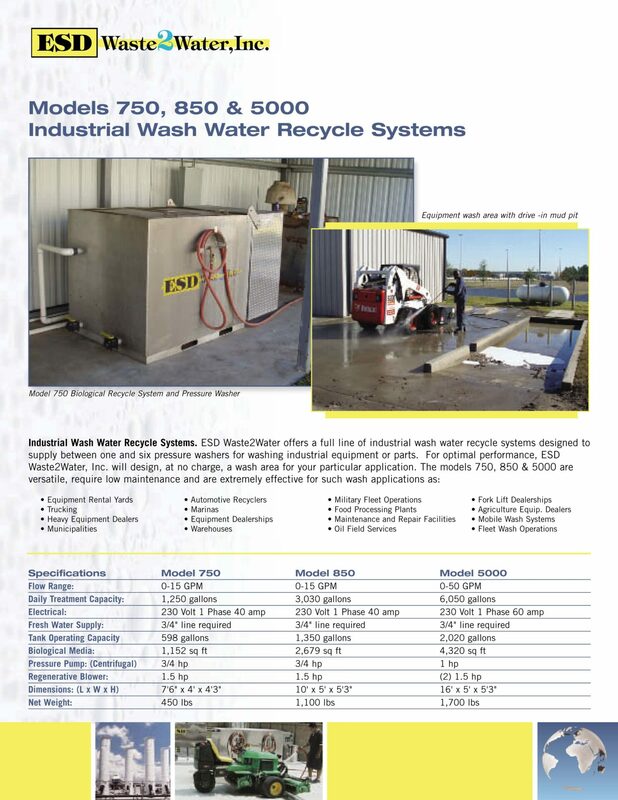 The Model 750 wash water recycle system is designed to handle the washing needs of large parts washing operations. 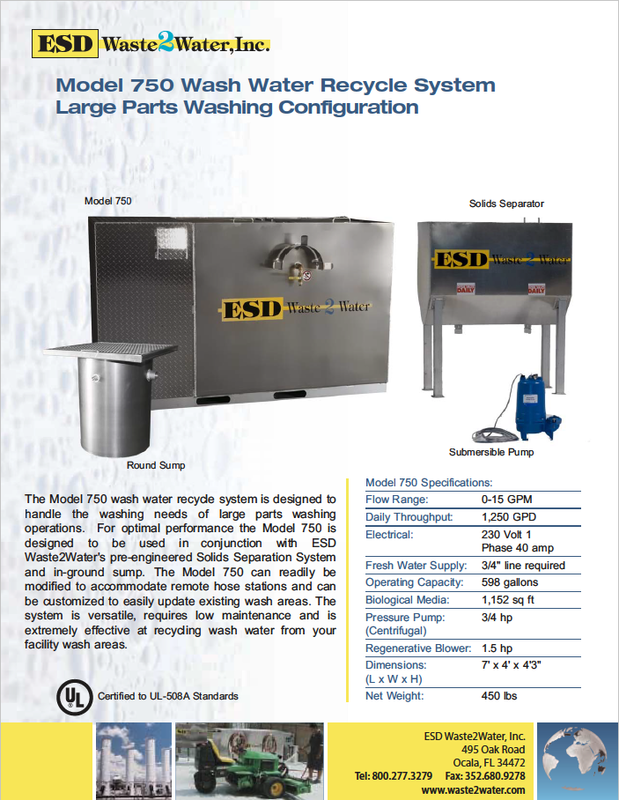 For optimal performance the Model 750 parts wash booth is designed to be used in conjunction with ESD Waste2Water’s pre-engineered Solids Separation System and in-ground sump. The Model 750 can readily be modified to accommodate remote hose stations and can be customized to easily update existing wash areas. 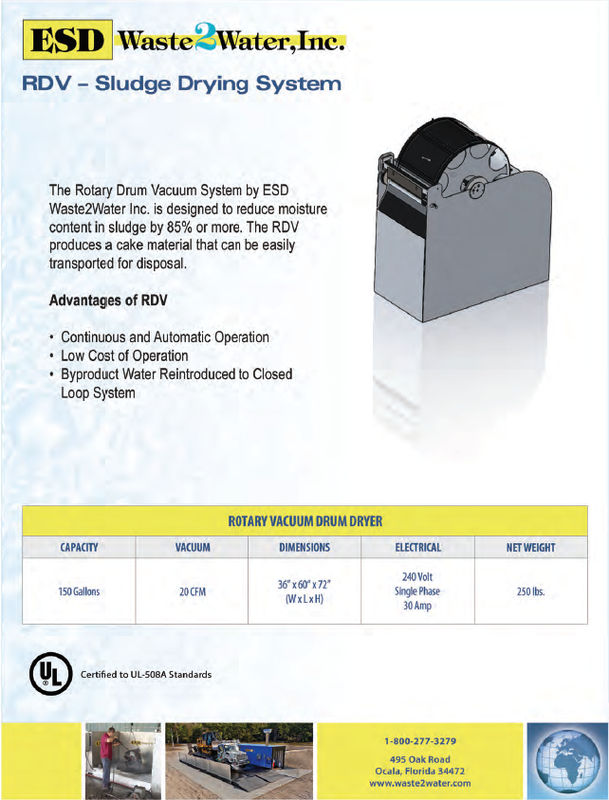 The system is versatile, requires low maintenance and is extremely effective at recycling wash water from your facility wash areas. What Are Portable Parts Washing Stations Used For? Portable parts washing stations are used to remove all types of contamination or debris off equipment in preparation for assembly, inspection, surface treatment, packaging or distribution. You can use these stations as you maintain or repair existing parts or simply to remove muck from your machines. Clean grime, grease, dirt, corrosion and other contaminants from your engines, auto parts, heavy equipment or other machinery. Portable washing stations can be used for a variety of materials and in a wide range of settings. 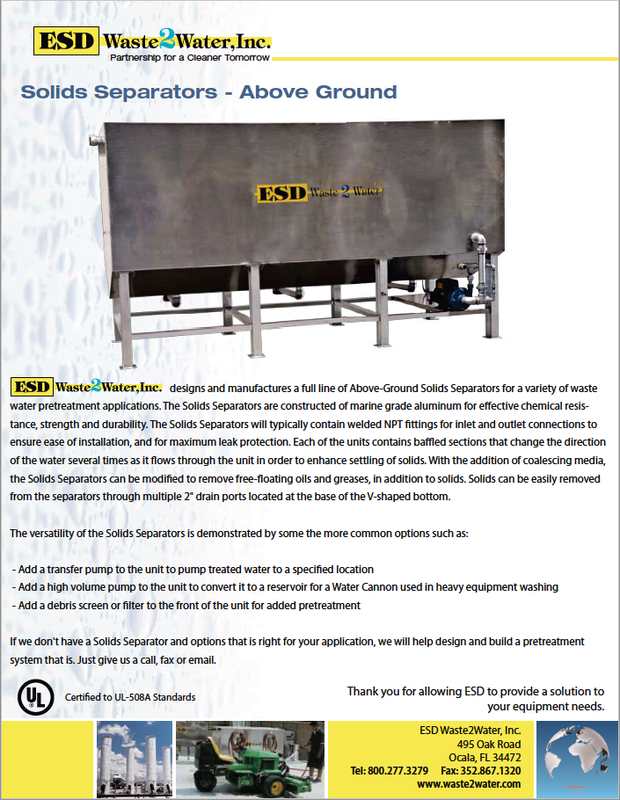 Why Choose ESD Waste2Water Parts Washing Stations? 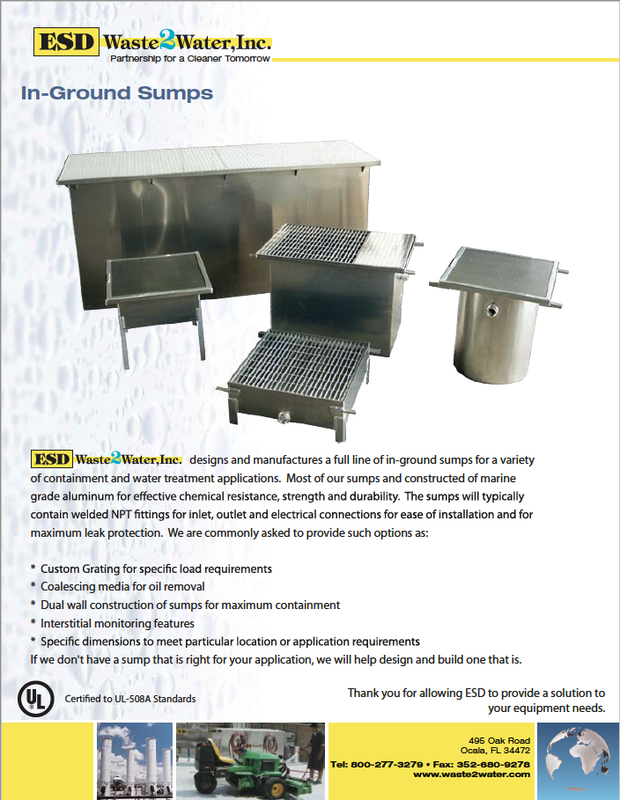 ESD Waste2Water parts washing stations come in four standard sizes and have a deck capacity of 4,500 pounds. Manual spraying with a pressure washer means you have total control of the cleaning operation, and three-wall construction helps to contain overspray. All of our above-ground wash stations are easy to set up and maintain, and they’re designed to be portable and quickly moved with a forklift. All of our parts washing stations are manufactured in the United States to the highest quality standards and backed with exceptional customer service. ESD Waste2Water washing stations are customizable and designed by ESD technicians using CAD technology. We offer free on-site evaluations, so we can help you create a design to meet your unique specifications and requirements. ESD provides solutions to all of your equipment needs. Contact us to learn more about our equipment and services.